A career that started in 1989 which has lasted over 3 decades and is still thriving has seen accomplishments like multiple Grammy nominations (17 in total) with five wins, 15 MTV Video Music Awards nominations with 6 wins from a total of 13 albums that have achieved several commercial successes. Beck Hansen is the man with a career many aspiring musicians would kill for. Popularly known as Beck, his music spans several genres including folk, funk, electronic, alternative rock, country music, and hip-hop. Several of his works have gone platinum and his name resides at the top of the names of modern musicians. Learn more about Beck Hansen, the American musician, his background and career by reading below. Born as Bek David Campbell to David Campbell (father) and Bibbe Hansen (mother) on the 8th of July, 1970 in Los Angeles, California, Beck Hansen was at that time their only child. His parents were into the world of arts as his father was a renowned composer while his mother was a Warhol superstar. Although his father wasn’t Jewish, Beck was raised Jewish. Beck Hansen was introduced to music at a very young age while growing up with church music and hymns as a result of his grandfather’s position as a Presbyterian minister. Despite the separation of his parents when he was 10 years old, Beck stuck with the passion for music he had gained from his father’s side of the family. At the age of 16, he got his first guitar, owning and learning how to play what would be the first of many instruments the American musician knows how to play. With the guitar, he became a street musician, playing music at the Lafayette Park. Although he tried to stick to school, Beck dropped out of junior high school, for a myriad of reasons, including feeling like an outcast due to his family living in a predominantly Latin district with him as the only white student in the school. Before he started his career as a folk musician, he worked menial jobs, taking on small gigs in order to pay for his meals and needs while he learned music at Los Angeles City College as an unofficial student who used fake I.D to listen in on classes. In 1988, Beck finally decided to take the musical knowledge he had acquired throughout his life on the road. He started with folk music, singing on city buses and other unconventional locations and venue, performing to those who cared to listen. He bravely moved to New York in 1989, armed with only a guitar and eight dollars. Unfortunately, he was unable to find his feet in New York and he returned to Los Angeles in 1991. Years of working in a record store, sneaking into clubs and handing out recorded tapes of his work finally resulted in his first project titled Golden Feelings which contained a hip-hop track titled ‘Loser’. The track would end up being the track that puts Beck Hansen on the map of major record labels and he eventually signed with Geffen Records. 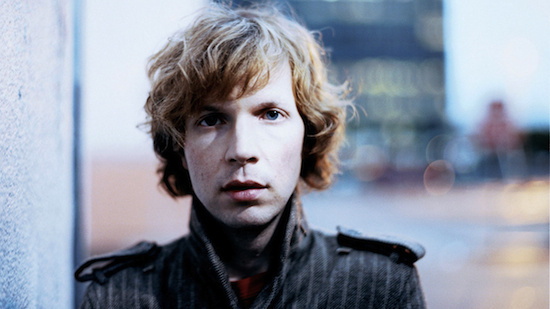 Since he became a recognized musician among professional musicians and labels, Beck has gone on to release 10 studio albums with 3 others being independently released albums. Beck was raised Jewish by his parents. His maternal grandmother was Jewish and thus after the separation with his father, he continued to be raised in Jewish tradition. When he grew up, however, he started to identify Scientology which was his father’s religion. Beck, despite the separation from his father, identifies with both sets of beliefs. Beck’s body of work features a lot of excellent projects, but even for an artist of his talents, in a fiercely competitive field that is music, having two albums in the Rolling Stone 500 greatest albums of all time is a remarkable feat. The two albums that made it onto the exclusive lists are Odelay and Sea Change. Separation does something to a child, especially when you finally grow up and understand the truth. Beck Hansen’s parents got separated when he was 10 years old and he was raised by his mother. This bond between him and his mother made him go back Beck Hansen, although he was born Bek David Campbell. Releasing multiple charting music and several critically successful albums brings its own share of monetary wealth. Combining his touring successes, there is no surprise that the musician star is worth $25 million dollars after over 30 years in the music industry. 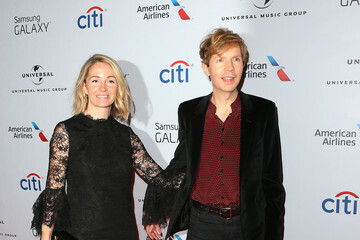 Beck took to the marital life after marrying Marissa Ribisi in 2004. He was previously in a well-known long-term relationship with Leigh Limon. The break up from Leigh Limon inspired one of his greatest albums, Sea Change. He and Marissa gave birth to their children – a son and a daughter in 2004 and 2007 respectively.